This blanket is very simple, easy to understand and quick to work up. From the Middle Baby Blanket by Bernat Design Studio, made using Bernat Baby Blanket (Polyester) is thick, soft and really snugly! This bulky yarn is so pretty and soft and the baby blanket works up really quick. The fun part about making this blanket is that you can keep going until it is however big you want it to be. 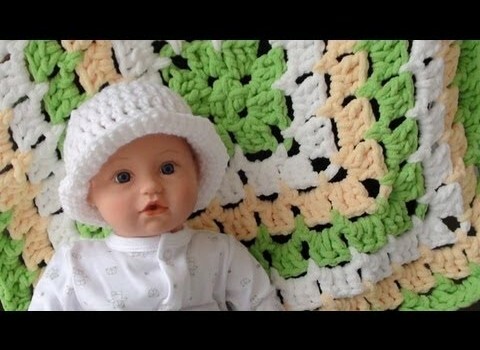 To watch the Bernat Baby Blanket – From the Middle – Video Tutorial and Crochet Pattern, please go to the next page. [Free Pattern] This Crochet Scarf Is Amazing! Love this pattern ~ Have made several baby blankets w/it ! !